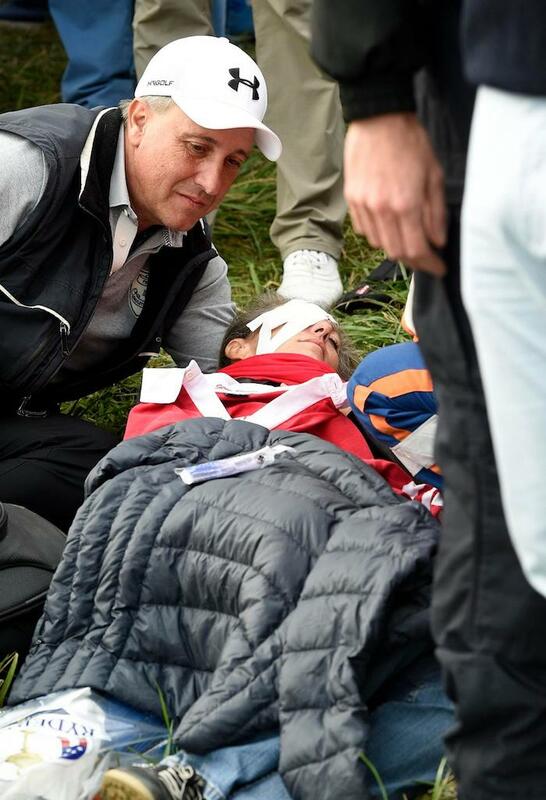 Ryder Cup organisers may face legal action following an incident that left a fan blind in one eye after being struck by a wayward tee shot from Brooks Koepka. Koepka was visibly shaken by the incident which occurred during the first session of play on Friday and later insisted he did follow golf custom by shouting ‘Fore’ as a warning. The fan, Corine Remande, was left prone one ground with graphic photos of her injury spread on social media. ‘Doctors told me I had lost the use of that eye,’ the 49-year-old told AFP. Remande, who was treated in Paris, was not pleased with the treatment before and after the accident. ‘Quite clearly, there is responsibility on the part of the organisers,’ she said. Reports suggest she will meet with a legal representative on Tuesday to explore her options.